Briefly: Everyone who doesn’t earn a living playing golf should have hybrids in the bag rather than long irons. And if you have hybrids, you can do a lot worse than these. Really, the 200-yard approach shot over water shouldn’t be this easy. If, like me, you’ve never hit an Adams club before, you don’t really know what to expect the first time you do. The company certainly has a tour presence with Tom Watson, Bernhard Langer and others using their products which should hint at their quality (can you imagine someone as meticulous as Langer playing with something he didn't think was at least as good as anything else on the market? ), but until you actually hit something you can’t know if you’re going to like it or not, regardless of who’s endorsing it. After about five, no three…two hits with the 19˚ IDEA a70S 3 Hybrid (it actually says 3 Iron on the soleplate, but definitely looks more like a hybrid), you begin to understand what Langer, Watson and the rest of the Adams playing staff sees in these clubs. Forgiving isn’t the word, flattering is better. 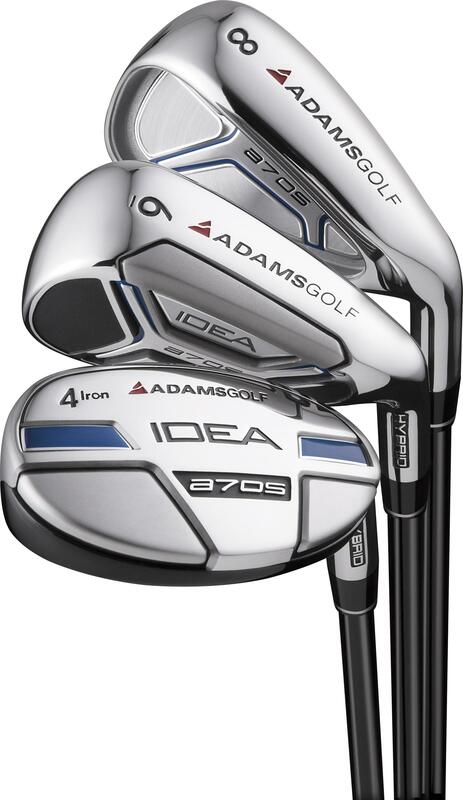 Adams are known primarily for their hybrids and they say this is the best one they've ever made. Purists wouldn’t like them because they make the game so much easier than it was back in the days of blade 3-irons that required you to hit the ball perfectly in order to get a decent result. They make you look better than you really are. Even when the sensation of impact screams ‘TOE’ the ball goes plenty far and actually appears to correct its line in mid-air. How good is that? Ideal For: Anyone really, though low handicappers might consider the Tour version which has a two degree open face. Briefly: Excellent club, one of the best-looking and sounding drivers available. Definitely worth a try. Sometimes you pick up a club which looks so powerful and feels so comfortable you just can’t wait to tee up a ball and have at it. Of course, the fact that it feels so good in your hands doesn’t mean it’s a great club necessarily; someone with smaller/larger hands and a preference for a different shaped head might think otherwise. 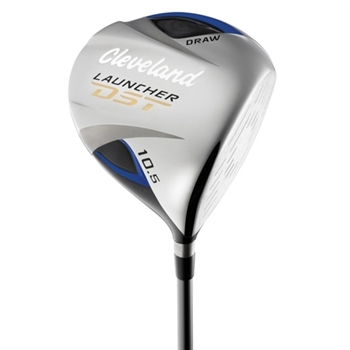 But for this tester, the black crowned, ‘D’-shape 460cc DST is as good looking a driver as exists, and the Cleveland-label grip combines ideal thickness and tackiness. Really the only thing that could go wrong was the grey Mitsubishi Diamana shaft which, at 47grams in weight and 45.75” in length, is both lighter and longer than the shaft in most current drivers. To be honest, most drivers are so light nowadays, you’re not really conscious of the fact this club weighs only 292 grams and is therefore 25 grams lighter than most. But the extra three quarters of an inch in length over a standard 45” shaft probably will be discernible, and will take a few shots to get used to. Once you do though, the results are fantastic. The sound is the stirring titanium crash that screams power and, though Cleveland's marketing focuses on its weight and speed, the Launcher DST is pleasantly forgiving as well. 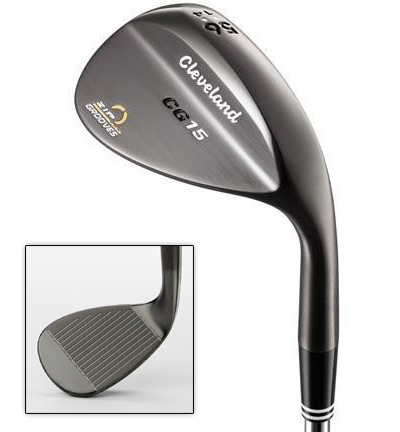 Briefly: The CG15 is a Cleveland classic that has appealed to Tour pros and weekend golfers for more than ten years. Its appearance may have altered very slightly over the years, but it’s still a fine-looking club. And as long as you get a loft/bounce combination that fits your swing and your course’s conditions, it will surely perform as well as any wedge you’ve ever played. Laser-milling the face gives a more precise and consistent surface roughness than alternative methods - optimal surface roughness maximizes spin. The sole is wider near the heel than it is at the toe which improves bunker performance without sacrificing versatility. The new CG15 Zip Grooves are created by breakthrough milling technology that creates 25% bigger grooves with pristine edges. That increases "ZIP" and consistency, especially from poor lies. An old 56˚ CG15 sand wedge was a mainstay in my bag for getting on ten years. It was wonderfully versatile; just as capable of playing its part in getting my ball up and down from a bunker as it was hard-pan or thick-ish rough. Then I lost it; a victim of Murphy’s ‘Return to Cart with Fewer Clubs Than You Took Out’ Law. It happened last year in Scotland during the final round of the trip, so the loss wasn’t discovered until the following week at Shuksan. After three temporary substitutes; one borrowed, two dug out from somewhere deep in the garage, the old CG15 was at last replaced with this new one. The modern CG15 looks different somehow from its predecessors. Maybe it’s just my eyes playing tricks, but the head appears slightly smaller and rounder. And it definitely feels a little heavier than my old wedge too. A very apparent change is the introduction of four white ‘texture lines’ between the Zip Grooves that give the face an abrasiveness which, Cleveland claims, lends itself to creating backspin. With all the attention paid to groove legality during the first few weeks of the PGA Tour season, you may wonder if clubs featuring grooves that go by the name ‘Zip’ and which possess four extra mini grooves between the Zip Grooves are strictly legit. They are…right on the limit. Whatever the visual/weight differences, perceived or real, the 56˚ CG15 is still a very attractive club whichever finish you prefer; Black Pearl, Satin Chrome or Oil Quench (Oil Quench???). And, thankfully, it still does more or less everything you ask of it around the green. Whether playing a flop shot, chip and check, bunker shot or 80-yard pitch, the 56˚ Sand Wedge with 10˚ of bounce is a very good option, although I didn’t think the amount of check it generated on the putting surface was noticeably greater than that achieved by other quality wedges. With our relatively lush conditions and soft fluffy sand, Bellingham golfers may want a little more bounce (14˚ or 16˚ are available), but if it’s very dry this summer and the fairways turn hard and brown, chip and check shots and flop shots will become difficult with additional bounce. 22 loft/bounce options are available, so play around with a few to see which combination works for best. Ideal For: Those whose putting stroke is too wristy. Those that are inconsistent on the green and just need something stable and reliable to avoid three-putting. 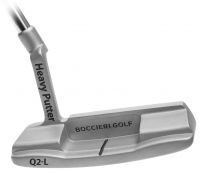 Briefly: Though 33% lighter than the original Heavy Putter, the Lite-Weight will still feel very strange to the first-time user. Some might wince and replace it on the rack without a second putt. Others will pick it up and know instantly their best putting days are ahead of them. 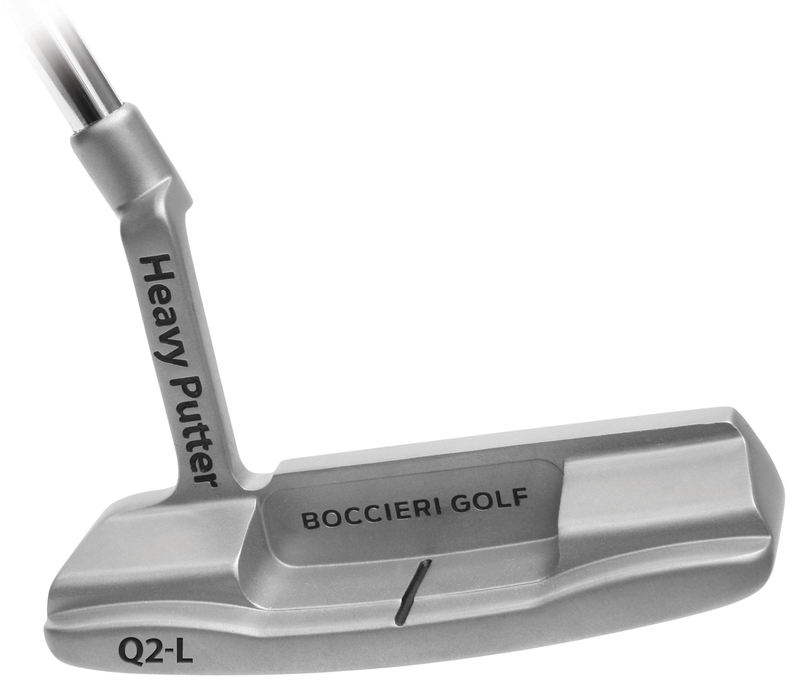 The original Heavy Putter, launched in 2005, was really, really…heavy; 900 grams heavy, or roughly twice the weight of a normal putter. It felt like you barely had to give the ball a nudge and it would zoom off toward, and often past, the hole. It took some getting used to but, thanks to a 250g plug under the grip, a 450-550g head, and a higher balance point than was typical in conventional putters, there was no denying it promoted a pendulum action. For many it was a Godsend, virtually eliminating excessive use of the wrists and producing a stroke and roll that Loren Roberts would be proud of. It also doubled as a great training aid. However, for those who prefer not to rely on a simple rocking of the shoulders, but like to feel the movement of the club through the fingers, it was just too… heavy. The 750g Mid-Weight series appeared early in 2009 and won over plenty of golfers for whom the original beast was too great a switch. And now the Lite-Weight is here. As you might expect, given the continuing 150g reduction, the Lite-Weight weighs in at 600g and feels more like a heavier normal putter than a lighter Heavy Putter, if you know what I mean. The backweight is still present though, distinguishing this as a part of the Heavy Putter Family and still doing a good job of ensuring that wrist-free stroke. But it certainly doesn’t engage the bigger muscles in the upper-arms and shoulders as much as the original did, and could therefore be the perfect compromise for many golfers. If you’ve never tried a Heavy Putter before and suffer from inconsistency on the greens, you should definitely try them. They might feel very odd to begin with no matter which vintage - Heavy, Mid, or Lite - you choose. But feel the pendulum, and watch the roll, and you may be won over. Ideal For: Justin Leonard, you, and everyone in between. Briefly: Even if you cringe at the thought of square-headed drivers, you should still try the Machspeed. You’ll be surprised at how sleek it looks and won’t have any complaints with the number of fairways you hit. The SQ Machspeed is designed to optimize aerodynamics throughout the entire swingpath generating higher potential clubhead speeds than any previous Nike driver. The comprehensive aerodynamic engineering moves air faster across the sole, over the crown and around the skirt for incremental swingspeed advances. By moving weight into the four corners, Tour-proven Square Technology delivers more stability at impact and more forgiveness on the box. Combined with STR8-FIT adjustable face technology (two degrees open to two degrees closed), the result is maximum clubspeed and maximum energy delivered to the ball for explosive distance, stability and control. 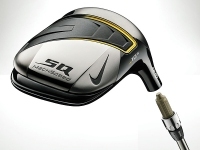 After first appearing in late 2006, it took the square-headed Nike Sumo2 two and a bit years to win a major championship - the 2009 US Open at Bethpage Black where Lucas Glover held off Phil Mickelson, David Duval and Ricky Barnes. A month later, the club had a second major after Stewart Cink won the Claret Jug at Turnberry in a playoff against Tom Watson. For traditionalists, the Sumo2 could have won ten majors since being launched and they still wouldn’t have been tempted to try it. The new Machspeed is much sleeker-looking than the Sumo2, however - gone is the light grey edge of the Sumo2’s crown which disguised its squareness – and that should encourage you to pick it up at least. When you do, chances are you’ll be pleasantly surprised because although it’s square, the Machspeed really isn’t a bad looking club and the sole is actually rather attractive. As for performance, it’s right up there with virtually every other driver we tested; no longer than others perhaps, but certainly one of the straightest, most controllable clubs we hit. And the fact it’s a STR8-FIT club means you can adjust the face angle to promote the shape of shot you want to hit.